“All ecosystems are dynamic, changing due to growth, succession and disturbances. Modeling large landscapes in the United States requires the collective knowledge of experienced and knowledgeable vegetation and fire experts. 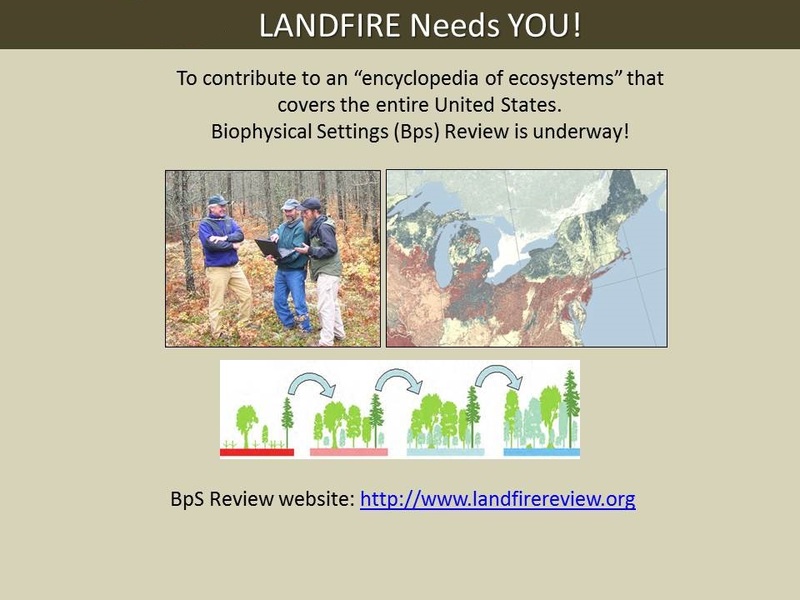 In collaboration with hundreds of colleagues, LANDFIRE produced more than 1,000 state-and-transitions models and descriptions — one for every ecosystem (called Biophysical Settings or BpS) mapped by the Program. The result is a major contribution to basic and applied vegetation ecology across the country.